The Front Façade of newly constructed Divine is inspired from elegant Gothic Architecture whereas interiors reflects rich, colorful Rajasthani and Gujrati culture. 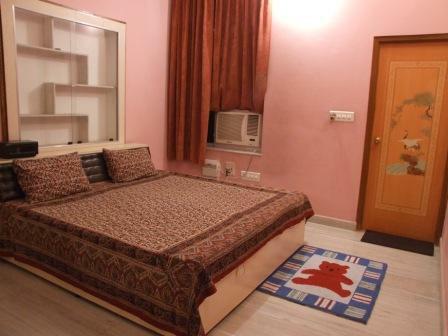 The Divine offers to its guests two Air conditioned comfortable and cozy bed rooms with attached wash rooms along with free use of 600 sq. feet Drawing and Living room. The tariff includes - Welcome Drink on Arrival (Non- Alcoholic). Tea and Breakfast with fresh fruit Basket in the morning. 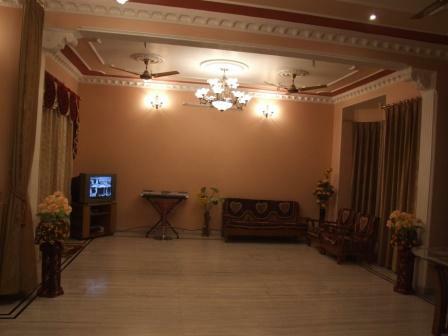 Facilities:-*Car parking * 29inch color T. V. with Tata Sky connection * use of AC, fridge, sofa, Dining Table etc., *Traditional Gujrati Swing *flexibility to use open kitchen (for vegetarian food only) * Terrace with Bamboo Hut and plantation *use of musical instruments like Yamaha Keyboard , Guitar, Tabla etc.,. * Carrom an indoor game. 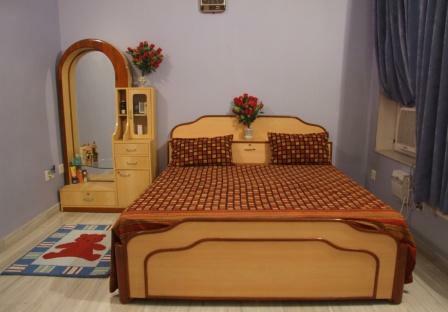 Air Conditoned Comfortable and Cosy Bedrooms. 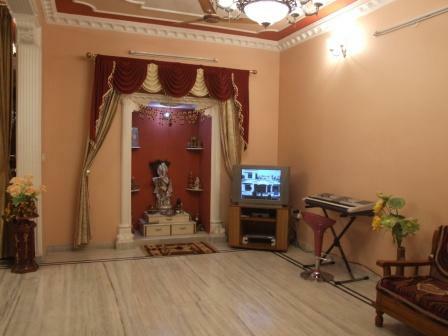 The Divine is situated in Mansarovar Colony of Jaipur City which is famous for its parks, gardens, Cricket stadium and educational institutions. 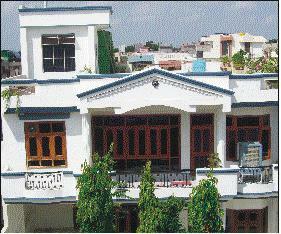 It is just 4kms away on the way from National Highway 8. 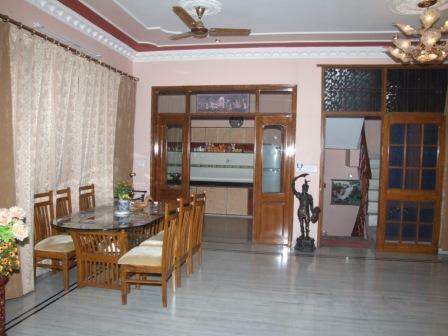 As per services provided by us. 50% Payment To Be Made at the time of booking and remaining before check out.Refund will be given if cancellation is made before seven days of booking. On National Highway No 8, Towards Ajmer Road. Signboards for Mansarovar have been installed for your convenience. In case of urgency, just call us and we would be there to pick you up.